One of the hardest things about quitting smoking is dealing with the feeling of not smoking - if that makes sense. You’re used to having a cigarette in your hand and smoking it. Your body has become conditioned to need the feeling of having a cigarette in your mouth. When you take that away, it can be super hard to deal with, and you have intense cravings to smoke. So, to counter this, you can look for alternatives to cigarettes. Find things that will fulfill this craving, make you feel like you’re smoking, but won’t harm you. There are plenty of products on the market that are designed to help. Things like vape pens are extremely popular amongst those trying to quit. Some people like to use water pipes to help wean themselves off tobacco smoking. It’s a lot safer and can help satisfy your cravings. And that’s what this is all about, satisfying your cravings so you can smoke less and less until you quit. The reason people get addicted to cigarettes is because they contain nicotine. 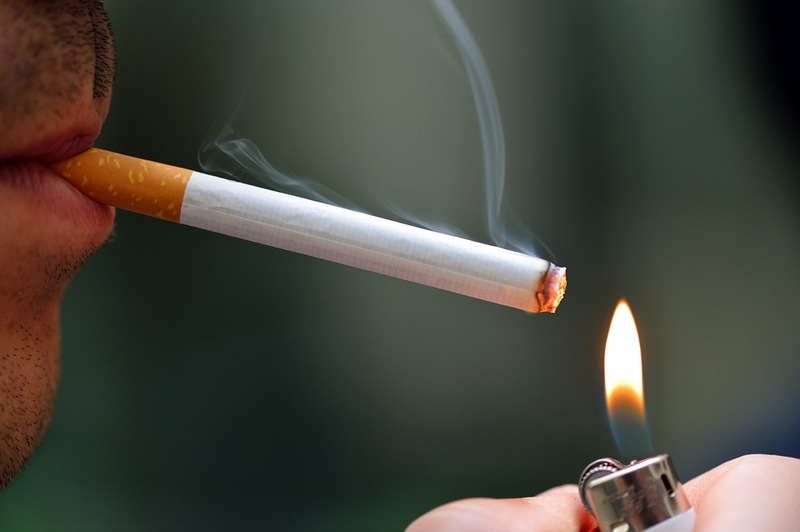 This substance isn’t what causes all the health problems you get from smoking. In fact, some people liken it to caffeine. The problem is that it’s addictive, so you keep smoking cigarettes and inhaling smoke and tobacco, which is bad for you. When you try to quit, your body urges you to get a nicotine fix. This is where patches and gum come into play. You can get nicotine patches that will give your body the fix it needs, in an unharmful way. You absorb it through the skin and don’t have to worry about inhaling smoke. Similarly, nicotine gum is chewed and satisfies your craving. If you use these two things, you’ll slowly become less dependent on cigarettes because you don’t need them for the nicotine. Lots of people try to quit smoking and fail. Usually, this is because they don’t take things slowly. They throw out all their cigarettes and try to stop completely. When you try and move from one thing to another, it has to be done in stages. Your body won’t let you go from smoking every day, to not smoking at all. The process must be gradual, take it one step at a time. Try and cut down on the amount you smoke each day. Week by week you can start smoking less and less. By doing this, you’ll find it far easier to stop completely. Obviously, we’re all aware of the health risks that come with smoking cigarettes. For the good of your body, and mind, you should attempt to quit. By following these tips, hopefully, you’ll find quitting a lot less hard than you think.